Founded in 2013, Liar’s Poker offers a new way to have fun using bitcoins. Although some players might initially think that this betting site offers casino poker games, this, in fact, features a different game that is totally unrelated to the popular card game. Nevertheless, this Bitcoin online gambling site is filled with fun and excitement on top of numerous opportunities to collect payouts in a snap. Therefore, make sure to check out the outstanding features that are found in this betting venue online. 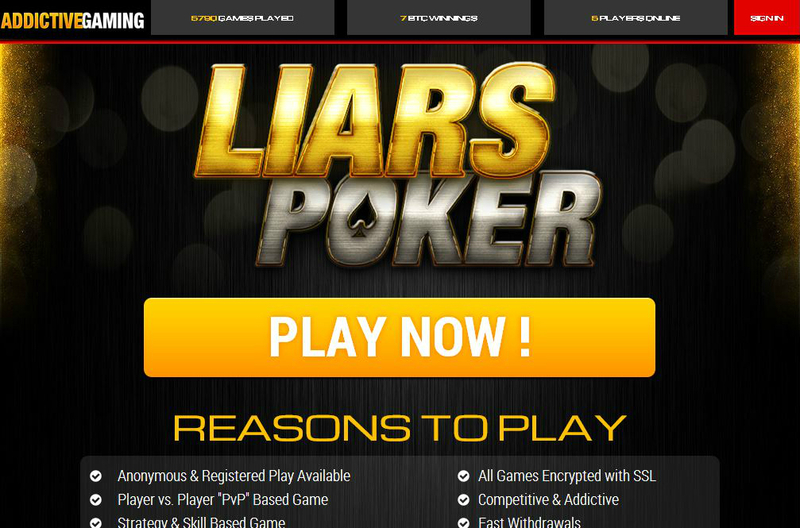 Liar’s Poker is a bluffing game that is unknown to many players online. It requires skills and strategies, so interested bettors must first be aware of the basic game rules to really know how to increase their chances of winning. What is great about this gambling site is that it offers bettors the simple steps to enjoy playing it. However, given that it is totally unrelated to the poker game played in land-based and online casinos, there is no need for bettors to be an expert about the various winning poker systems and techniques. When it comes to the actual gaming experience, players will have to battle it out against other real players before they can grab hold of the winnings at stake. This betting site offers a Hi-Lo Mini game that is playable while waiting for the main game to begin. In this mini game, players will simply have to guess whether the second card will have a higher or lower value than the first. A correct guess will reward the player with the corresponding amounts as stated in the payout table. To make this game even more fun and attractive, it boasts of provably fair gaming, ensuring that every card generated is fair and is free from any form of manipulation. 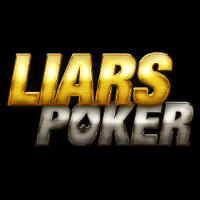 It seems that Liar’s Poker has really planned to make every bettor’s betting experience easy and convenient because it provides two different methods for players to join in on the fun: to play anonymously or to play using a registered account. By simply choosing the anonymous play, all interested players have to provide a username and password as well as to click the Play Anonymously button. Going with this option requires no information, no email address, no player recognition, no traceability, and allows players to start games much faster. Meanwhile, playing using a registered account also has its advantages like being able to store bitcoins in between log in, to be among the first to know about new games, to get notified about bonuses and promotions, and to have entries to monthly draws. Although not processed in an instant, the deposit and withdrawal processes take a much faster time. The deposits may take five to 20 minutes, given that one confirmation is required while cash outs require two confirmations. With speedy fund transfer methods here on Liar’s Poker, it is certain that many bettors will be curious and encouraged to play Bitcoin poker and other games on this site.